London is a huge city with a generous helping of attractions spread across its 32 boroughs. Visitors looking for a “downtown” district will instead find a wide range of options to suit different interests. 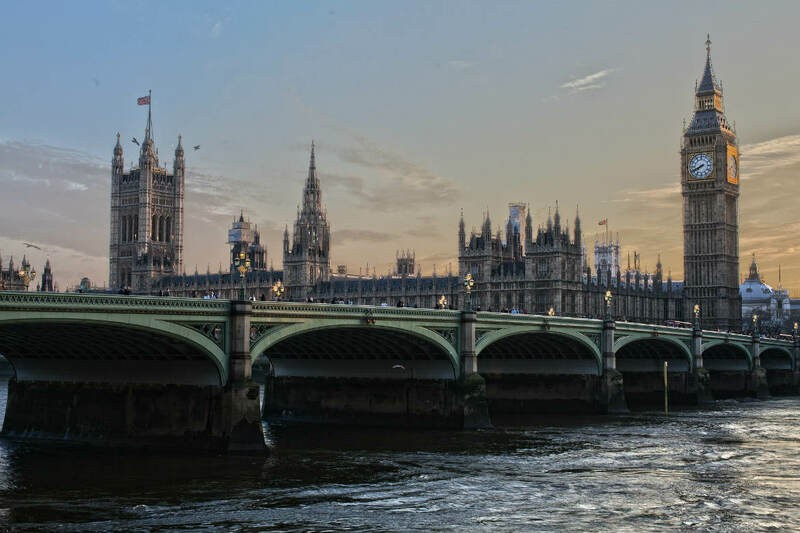 Learn what some of the city’s most popular districts, from the West End to Notting Hill, have to offer and where to stay in London below! Although not an official municipality of London, the West End refers to the area encompassing trendy neighbourhoods such as Soho, Covent Garden and Leicester Square. 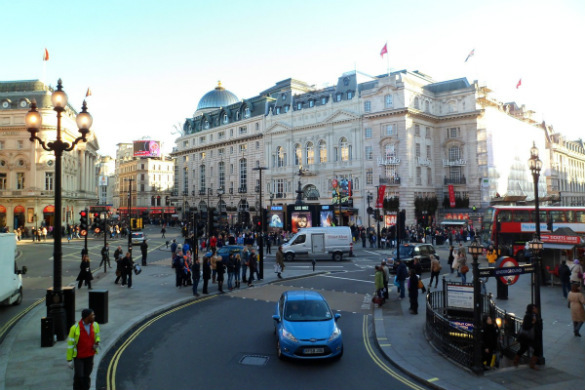 Widely regarded as the commercial and entertainment centre of London, the West End is where you’ll find lots of the city’s main landmarks, tourist attractions, theatres, shops and restaurants. As one of the most happening parts of London, you’ll never find yourself short of things to do in West End. Shop ‘til you drop on Oxford Street. Watch world-class productions in the historic venues of Theatreland. Immerse yourself in the electric bars and clubs of Soho. What’s in the West End? A lively entertainment scene, plus top-tier attractions such as Buckingham Palace, Westminster Abbey, Trafalgar Square, Oxford Street, Piccadilly Circus, and more. Stay in the West End if… You want to stay in a central location with lots of great shopping, nightlife, tourist attractions and entertainment on your doorstep. How to get to the West End: The West End is within walking distance from the City of London (think London Bridge and St Paul’s Cathedral), and also contains major train stations such as Leicester Square (Northern and Piccadilly line), Oxford Circus (Bakerloo, Central and Victoria), and Tottenham Court Road (Northern and Central). Hyde Park, London, England. Image Credit: dconvertini / CC by SA 2.0. Situated just north of Hyde Park, the cosmopolitan neighbourhoods of Bayswater and Paddington form one of the most well-rounded parts of central London. This unique area allows visitors to stay close to central London while enjoying a tranquil atmosphere that shouldn’t really exist in the middle of a city this size. From the clockwork convenience of Paddington Station to the meandering boats and swans of Little Venice, Bayswater and Paddington are the perfect place to enjoy a weekend escape in London. Explore the vibrant restaurants, cafes, shops and pubs of Queensway. 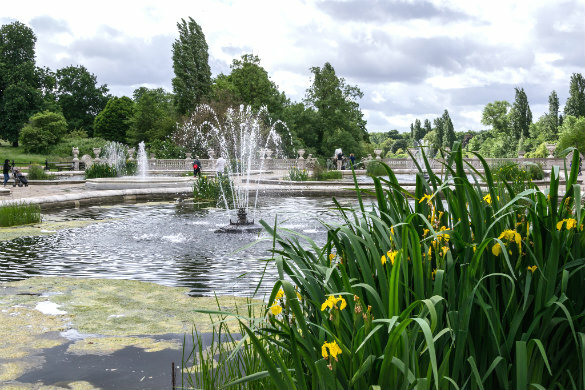 Escape the crowds in the beautiful landscapes of Hyde Park and Kensington Gardens. What’s in Bayswater and Paddington? Beautiful gardens, canal vistas, and plenty of accommodation options to suit a range of budgets. Stay in Bayswater and Paddington if… You’re looking for an inner-city location with fewer tourists and beautiful surrounds. How to get to Bayswater and Paddington: Bayswater is serviced by the Bayswater tube station (Circle and District lines) and Queensway station (Central line). The Paddington station complex provides connections to the Bakerloo, Circle, District, and Hammersmith & City lines, and is also the London terminus for the express train to London Heathrow Airport. Even without help from the 1999 film, Notting Hill would still be an incredible place to stay in London. This charming neighbourhood features a fantastic shopping and dining scene, along with the pastel-coloured townhouses that have made it such a popular destination among Londoners and visitors alike. Head to Portobello Road to wander through the largest antiques market in the world, offering everything from clothing and second-hand goods to fresh produce and gourmet food. Check out the restaurants and cafes of Westbourne Grove. Continue through the streets of Notting Hill to discover quaint bookshops, boutique stores, flower shops and more. What’s in Notting Hill? Charming shops, cafes and markets, and an endless number of photo opportunities. 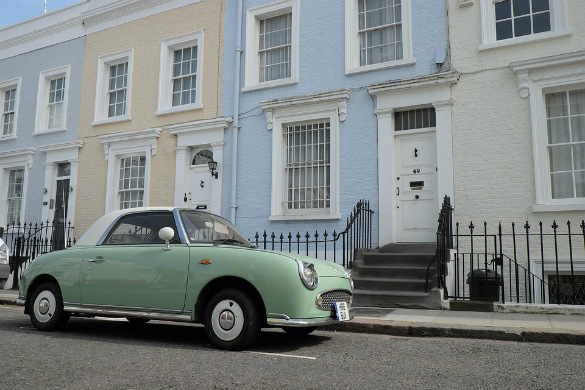 Stay in Notting Hill if… You want to stay a little further from the city centre in a picturesque locale with a good number of shops and restaurants. How to get to Notting Hill: You can reach Notting Hill via Notting Hill Gate, Ladbroke Grove, Latimer Road, Westbourne Park, Bayswater and Queensway tube stations. Granary Square, London, England. Image Credit: Matt Kieffer / CC by SA 2.0. 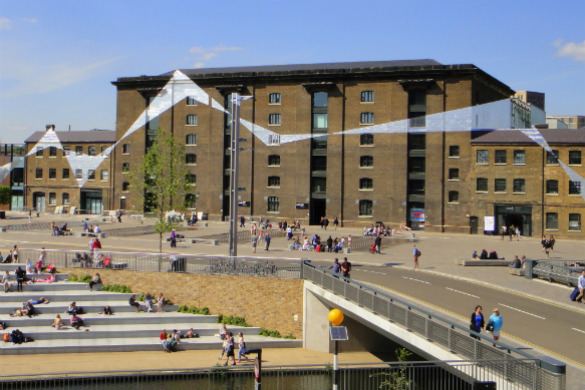 Once an industrial area tarred by a sleazy reputation, King’s Cross has undergone an astounding transformation to reinvent itself as a hub of art galleries, museums, parks and entertainment. This exciting district lies just a few kilometres northeast of central London, and is extremely well connected to the rest of the city. The magnificent King’s Cross St Pancras, London’s largest station, also provides high-speed rail services to cities such as Edinburgh, Leeds, Paris, Amsterdam and Brussels. Stay in King’s Cross for the chance to explore some of London’s coolest new bars, restaurants, galleries and public squares. Walk along Regent’s Canal from Granary Square up to Camden to discover a quiet and scenic side of London that many tourists don’t get the chance to see. What’s in King’s Cross? Lots of great restaurants, bars, art venues, and public transport options. Stay in King’s Cross if… You want to stay in one of London’s most up-and-coming areas, or want easy access to a range of intercity trains. How to get to King’s Cross: King’s Cross is the largest interchange on the London Underground and links the Circle, Piccadilly, Hammersmith & City, Northern, Metropolitan and Victoria lines. Greenwich is a calm and leafy neighbourhood located just 20-30 minutes from the city, on the south bank of the River Thames. Greenwich is an area of verdant parks and gardens, splendid Georgian and Victorian buildings, and a maritime history which is still apparent today. This is also where you’ll find Queen’s House (one of the most important landmarks in British architectural history) and The Royal Observatory – the home of Greenwich Mean Time, and the famous line which marks 0° longitude on Earth. Wander through the expansive, rolling landscapes of Greenwich Park, a heritage-listed park which provides stunning views over the River Thames, the Isle of Dogs, and the City of London. Head to Greenwich Clocktower Market on the weekend to browse its quirky collection of antiques, vintage clothing, arts, craft and bric-a-brac. Visit the town centre any day between 10am and 5:30pm to explore the huge and historic Greenwich Market. What’s in Greenwich? Riverside views, sprawling green spaces, and some of London’s best antiques markets. 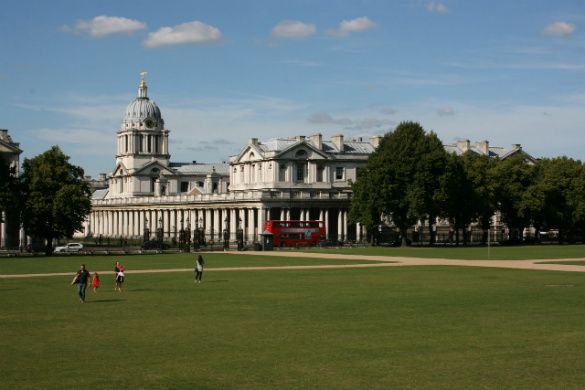 Stay in Greenwich if… You’re looking for a quiet and pretty neighbourhood with a unique shopping scene. How to get to Greenwich: You can reach Greenwich on the Jubilee Underground line, on the Docklands Light Railway, or on a riverboat from the city. Ready to explore the fascinating neighbourhoods of London? Book cheap flights to London with Webjet today!